Now you can run a full support ticket helpdesk, right from inside your existing WP-Client dashboard! We are very happy to announce the latest addition to the WP-Client family: Support Tickets! We have been working with support ticket helpdesk tools for a long time, and we have built a long list of do’s and dont’s along the way. Everything we have learned and experienced has gone into the development of our newest Extension, Support Tickets. At it’s core, this premium Extension is a powerful tool that allows you to maintain a continuous line of communication with your clients regarding questions and issues, all from within the WP-Client dashboard to which you are already accustomed. 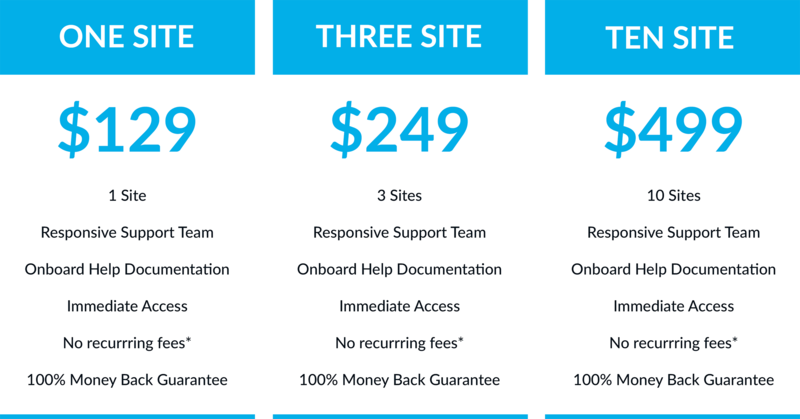 Our Team has years of experience with various helpdesk and support ticket systems under our belts, and we took that into account when developing our new Support Ticket Extension for WP-Client. The end result is a ticket helpdesk Extension that has the most useful and powerful features, without any of the bloat present in a lot of other support ticket systems. The Support Ticket Extension revolves around a central theme of privacy and security. All communication between the client and you is completed protected, and is only visible to the assigned client, and properly permissioned admins and managers. This ensures that no client will ever see a ticket thread of another client, and no managers will ever be able to access tickets for clients that aren’t assigned to them. Additionally, because Support Ticket installs as an Extension of WP-Client on your own site, you have full control over the security protocols, such as SSL certification, IP restrictions, etc. This all combines to form a very secure and private helpdesk system. Keep A Record of All Conversations! Anyone who deals mostly in emails for business can tell you how useful it can be to have a full written record of all communication between you and the client. Whether it’s simply to confirm a detail that was mentioned in passing, or you need to provide proof to a client that something has been completed, being able to refer back to written conversations can be a lifesaver. With the Support Ticket Extension, you will be able to view a full history of all messages and actions within each ticket, complete with date and timestamps, along with usernames. With this record at your disposal, details won’t get lost in the shuffle, and you can easily refer back to this wealth of information at any time in the future if need. Save Time With Response Templates! Speed and efficiency is the name of the game when it comes to support tickets. Your team needs to be able to respond to clients quickly, but also accurately. Invariably, you will most likely encounter a lot of the same situations over and over again, and many tickets will likely need to follow the same path towards resolution. With customizable Response Templates inside the Support Ticket Extension, you will be able to take your most common responses, and turn them into reusable templates. These Response Templates can then be used at any time inside a ticket, which will insert the template content into the ticket message thread. Request login credentials, check version numbers, and much more, all with a single click. In addition to the standard default fields of “Title” and “Description”, the Support Ticket Extension also includes fields for Category and Type, which can be fully customized to fit your needs. For example, you may want to categorize tickets into Bug Reports, Feature Requests, and General Questions. Or you may want to have a specific category or type to mark some tickets as Priority, so your team quickly knows which tickets should receive special attention. Whatever the usage, the ticket Type and Category can be customized to fit. Once you have your tickets categorized, you can easily sort and filter the ticket list based on the fields, allowing you to quickly and easily view the tickets that are most important in the moment. Managers Can Support Their Own Clients! In addition to admins being able to access and handle Support Tickets, WPC-Managers can also be allowed to manage their own assigned clients’ tickets. When a WPC-Manager views the Support Ticket backend menu, they will only see tickets related to their assigned clients, and they will only be able to create new tickets for those same assigned clients. This means that you can delegate support responsibilities to your WPC-Managers, who are already familiar with the dashboard and who already have a relationship with their clients. Not only does this help relieve your own workload, but it also helps ensure that each member of your team can be fast and efficient, with the work spread between multiple members. Allow Non-Clients to Submit Tickets! If you have the need to allow non-logged-in or non-registered users to submit support tickets, this Extension can accommodate that easily. The Support Tickets Extension includes two ticket submission forms, one for logged-in clients, and another for non-logged-in site visitors. When a site visitor submits a ticket, they include their email address as part of the submission form. This email address is then used to automatically create a new client account for that user, and their submitted ticket is then filed under their new client account. If by some chance a user submits a ticket from this form using an email that is already associated with a client in your installation, that new ticket will automatically be assigned to the corresponding client, and they can then login with their existing credentials to view and respond to the new ticket. There are no functionality limitations for the different license levels of the Support Ticket Extension. The only difference in pricing is for the number of sites you would like to activate. This means that whether you want to install on 1, 3, or 10 sites, you get the full power of the Support Ticket Extension all of the time. And don’t forget, there is no separate recurring fee for Support Ticket, so you get all of this functionality for the life of the Extension, as long as your CORE WP-Client subscription is kept current. BOTTOM LINE :: You can add the Support Ticket to your arsenal of tools for a one-time fee, and you will never have to pay again for this functionality. With the “per-URL” pricing model, you only pay for as much as you need! How does buying an À la Carte Extension work? You will remain at your existing Web Portal License Level (Basic, Plus, Developer or White Label). The Support Ticket Extension will be available on the number of URLs that are authorized for the Support Ticket License Level you purchase. For example, the Support Ticket One Site License allows for 1 URL, the Support Ticket Three Site License allows for up to 3 URLs, etc. FREE EXTENSION UPDATES for LIFE: Purchase the Support Ticket Extension ONE TIME and it’s yours FOREVER. No additional yearly fees for updates or support for this Extension as long as your yearly fee for the Web Portal core is up to date. This means as we continue to develop and improve the Support Ticket Extension, you’ll continue to benefit.